This is the home of the American Industrial Revolution, which was launched at a mill in Pawtucket and powered by the strength of the Blackstone River. A place of old towns with immigrant flavor, you can browse country stores; ride horseback on forest trails; or paddle your own canoe or kayak past the dams, canal locks, and bridges that tell the story of America’s hardest working river. 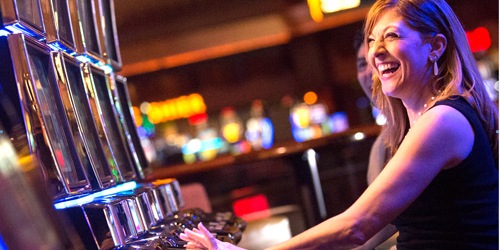 For fun activities, there are local breweries and wineries to sample, a sophisticated jazz venue to enjoy, and a gambling casino with video slots, table games, and top name entertainment year-round. The Stadium Theatre in Monument Square in Woonsocket, listed on the National Historic Register and a fine example of the Vaudeville period in American entertainment, was built in 1926 and restored in 2001. 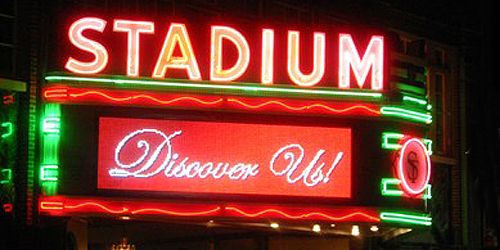 The range and variety of performances at the Stadium is vast and includes classic plays, comedy, music, and tribute groups. There are lots of seasonal shows at holiday times and plenty of good live entertainment all year. Fans of the theater come back again and again. A sample of the shows in recent years include “Nunsense,” “A Christmas Carol,” “Show Me the Glory,” “Annie,” “The Lion, the Witch, and the Wardrobe,” “Cinderella,” and “The Wizard of Oz.” 401-762-4545. 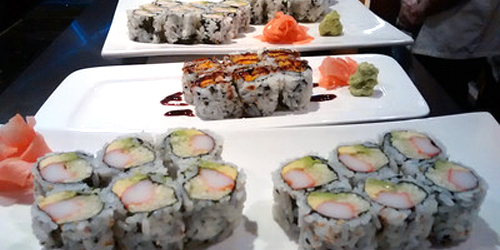 Since 1965, Chan’s Fine Oriental Dining on Main Street in Woonsocket has been a legendary place to take in a Chinese dinner followed by a close-up, live performance by masters of jazz, blues, folk, cabaret, and comedy in a sophisticated nightclub setting. Your host is John Chan, son of the founder, who greets and seats guests in family-style tables close to the best music to be found anywhere on the East Coast. Music is live and vibrant every weekend and some weeknights, including open mic nights once a month. 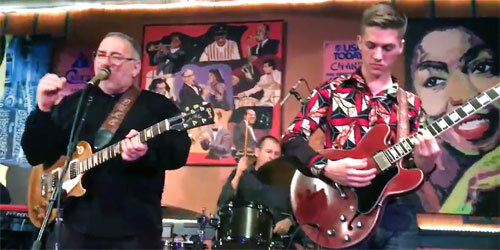 Some upcoming performers include Duke Robillard Band, Commander Cody, Bellevue Cadillac, Ana Popvic Band, Lil’ Ed and the Blue Imperials, and more great jazz and blues. Silk ties and high heeled shoes are right in style at this place of glitter, fun, and excellent music. Phone: 401-765-1900. 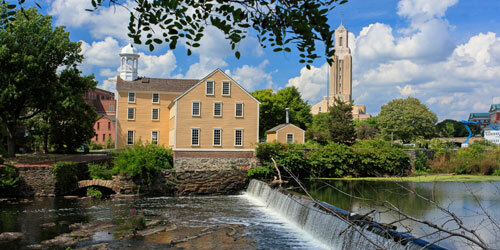 The Blackstone River Valley, from Providence, RI, to Worcester, MA, is a crucible of American industrial history. The town of Pawtucket, RI, is where the Englishman Samuel Slater built our country’s first cotton spinning mill in 1790, based on plans stolen from England. Over the next centuries, the river became an industrial zone for early mills and a magnet for immigrant workers from French Canada and elsewhere. 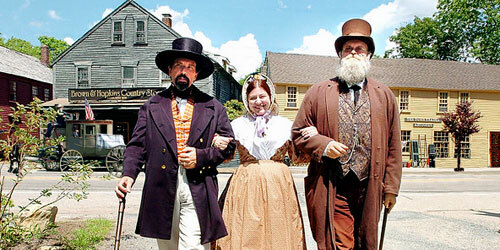 Today, visitors can enjoy tours of historic sites -- principally the Slater Mill. Six visitor centers help you plan your tour. Choose a self- guided tour and follow this map. 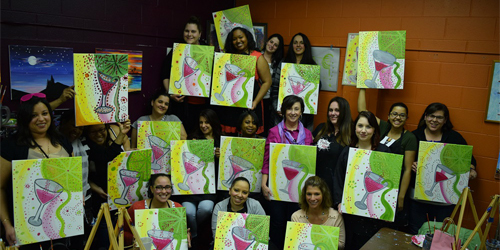 The Blackstone Valley is wealthy with the food cultures of the French-Canadians, Irish, Portuguese, Cape Verdean, and Asian who have lived and worked there. Now, the weekly Blackstone Culinaria Secret Ingredient Tour allows foodies to get inside those cuisines. From plantains to spring rolls to kielbasa, cuisines from Colombian to Cape Verdean are featured on the tour to various restaurants in Central Falls, Pawtucket, Cumberland, Lincoln, and Smithfield Wednesdays from March 27 to June 19, 2013. Each dining event includes a cooking demonstration and a meal or tasting, depending on the venue. 401-724-2200.